Home » Flavours Blog » What’s the Difference between Yoga and Pilates? If you want to become more active, which of the two disciplines should you choose: Yoga or Pilates? The first thing you need to consider is that Yoga and Pilates are often lumped together, but are actually very different. So let’s start at the very beginning. Beliefs and basic philosophy between Pilates and Yoga are startlingly different. Pilates for example is a method of creating strength and overall fitness, and was first developed for dancers. This gives you some insight on its focus. You need to view Pilates as a conditioning programme. The fundamental principles behind it are that improving deep core strength can make a profound difference to how you move. Not only this, but body tone, that comes from long lean muscle control, underpins everything you do in this discipline. Centering – This is very powerful, and can transform lives. This aspect concentrates on the abdominal muscles, buttocks, pelvis and lower back. Considering how little attention these areas usually have from us, unless they are aching of course, this is a fantastic starting point. Concentration – In this multi-tasking world, in which most of us operate, giving 100% concentration to one thing is something we rarely do. The Pilates method requires total concentration to really extract the most from every exercise. This will inevitably have a knock-on effect in other aspects of our daily lives. Control means having the complete awareness and therefore total control over every movement – with this comes understanding, and a sense of empowerment. We all like to feel we have control over our body. Precision allows us to develop an awareness and understanding that every movement we make has a specific purpose. With this in mind, we can be more purposeful and use our body to its fullest potential. As we age that is more important than ever. Breath is one of Pilates’ foundation stones. Most of us have little idea how to breathe correctly and combining this with exercise is life changing and so beneficial to overall health. Flow is essential. When we move suddenly, move without thought, that’s when we can cause problems or injure ourselves. Moving in a graceful and smooth manner means we can achieve much more with less strain. Yoga on the other hand has its focus very much on mindfulness, and something more spiritual and philosophical. The practice of Yoga will permeate your whole life in a holistic manner. If we understand the workings of the mind, body and spirit we can begin to unite them. When we achieve total harmony we can become the very best we can possibly be. Meditation, breathing and the yoga stretches combine to make a powerful combination practised for thousands of years. Even the word Yoga itself means the heartfelt spirit of unity. When we possess this, we can consciously undertake decisions. If we heal ourselves through breath, a strengthened body and a still mind our lives can be transformed. Therefore the basic difference in both systems is that Pilates is more of a workout, whereas Yoga is, in general, more holistic. You can pick your style when it comes to Yoga, as there are many variations on a theme. If you need a slow-paced approach to restoring your body try Iyengar, whereas something more upbeat would be Vinyasa. It is purely a matter of preference, however you will rapidly feel better in every aspect of your body. For example, if you correct your posture, then this will improve your health. If you breathe correctly your oxygen intake increases and toxins are eliminated. If you meditate your mood improves. That doesn’t mean Yoga is not intensive or aerobic. If you work correctly you won’t need an intensive gym session. In fact, the Yogic breath will increase your lung capacity profoundly. It is recommended for improving asthma and other respiratory problems. Pilates on the other hand may well be undertaken using a mat like Yoga, but you can also utilise specialised equipment. Weight resistance, springs and pulleys can help work out each separate muscle group. It is abdominal-intensive, and this attention to core strength will assist both agility and posture. It will assist in the improvement of digestion, or even stimulate the thyroid and improve blood circulation. In fact, Yoga can be seen as an all-over mental and physical conditioner. Its different poses will help create a sense of calm, help a practitioner physiologically and generally help regulate the whole system. 6. Pilates helps to actually prevent injury. It will help anyone to rehabilitate their body especially after an injury, and is an excellent way of taking the first positive steps to a better physical health. If you are experiencing arthritic conditions it can help the pain, while also assisting in managing tendon or muscle soreness. So which should you choose: Yoga or Pilates? In a nutshell Yoga will promote fitness and a sense of inner peace or tranquillity. If you have difficulty in embracing the Yogic philosophy, then Pilates will probably appeal more. Of course there’s nothing stopping you pursuing both disciplines. If you would like the opportunity to immerse yourself in the Pilates method, then why not book a Pilates holiday? This will offer you the chance to spend a few days getting to grips with Pilates under the tutelage of a highly experienced teacher. Imagine waking up under china blue skies and exercising by the side of a tranquil swimming pool. You can be immersed in the philosophy, and spend a week concentrating on you and your chosen discipline. What could be better? 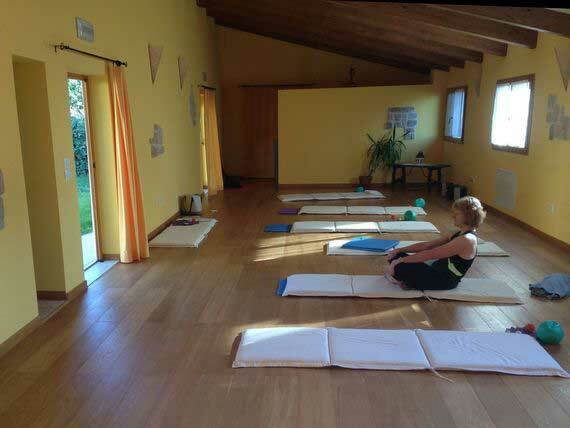 To begin your journey towards Pilates inspired flexibility, strength and increased agility then why not book a holiday to the beautiful Italian cities: Amalfi, Puglia, Sicily, and Tuscany, or the tranquil Spanish city Andalusia.